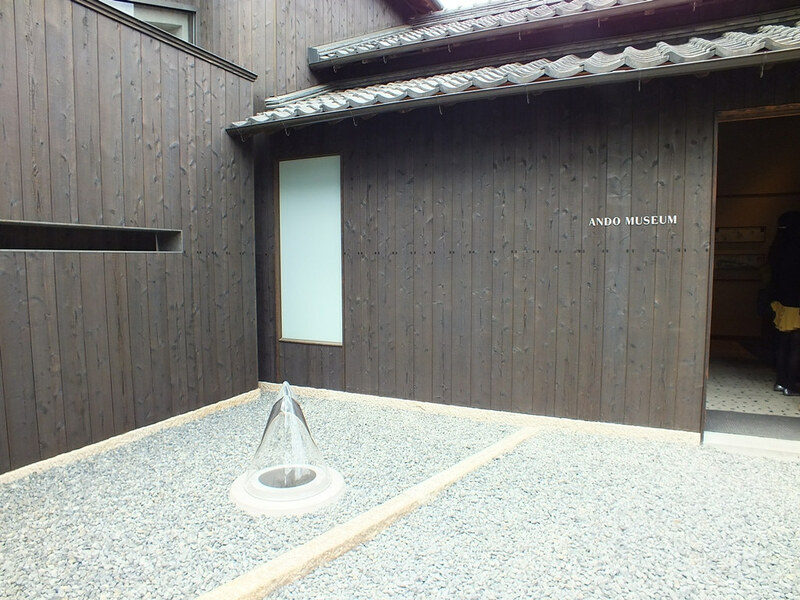 However, a major new place opened in 2013: a museum entirely dedicated to Tadao Ando, and it’s aptly named the Ando Museum. Here is what it looks like from the street. 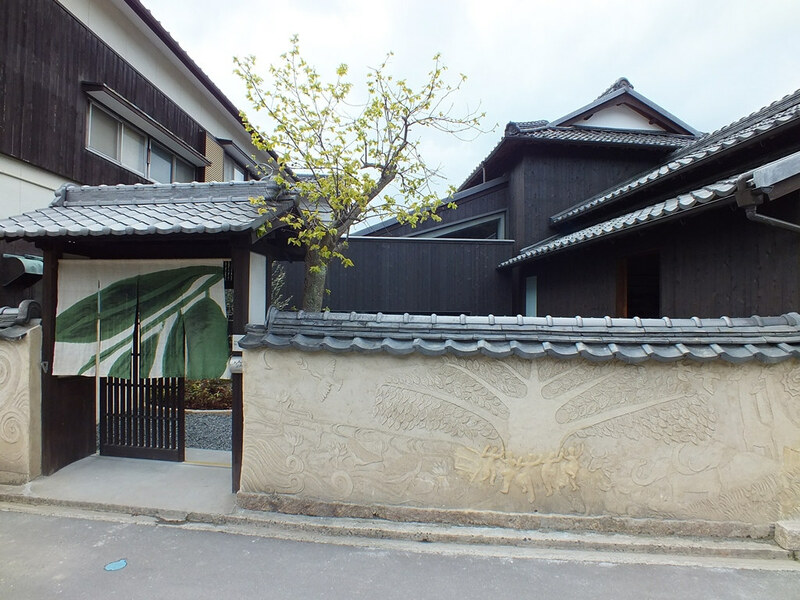 It is located in the village of Honmura, somewhere between Minamidera and Kadoya (two of the most famous houses from the Art House Project), and seen from the street, it doesn’t look much different from a normal house except for a few details (the relief on the wall being one of them). However, just like with most Benesse Art Site artworks, you can’t take pictures inside, and while it’s a problem for my blog as I can’t show you what it looks like, all in all, I do like that policy, first of all for yourself (you’ll spend more time actually looking at the various things with your naked and not through the screen of your camera – I’m myself guilty of that from time to time), but for everyone else too (there’s nothing more annoying than places crowded with tourists taking bad pictures of everything everywhere and preventing you from really enjoying the actual place and art). Apart from that, you may be wondering what’s inside, right? The museum was designed by Tadao Ando himself. First, there’s a retrospective of Ando’s previous works (on Naoshima and elsewhere), then, the deeper you go into the building (literally), the more you realize that it is a work of art in itself. I won’t detail more and let you discover it for yourselves. Just like pretty much every other place on Naoshima, the Ando Museum is open every day except on Mondays (it’ll be open on Monday if it’s a holiday, and in that case, it’ll be closed the next non-holiday). It’s open from 10am to 4.30pm (last admission at 4pm) and the entrance fee is 510 yens.